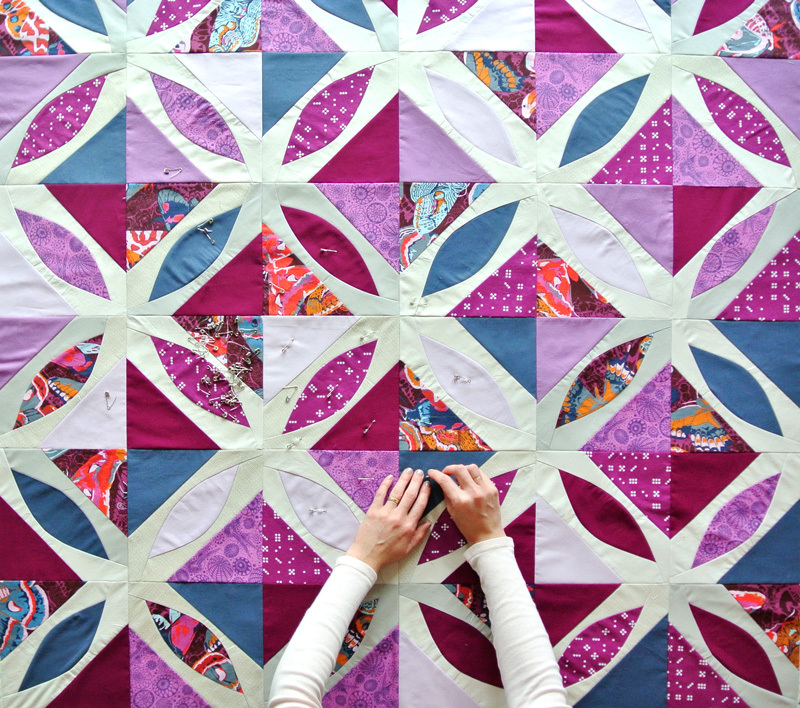 Quilting can be as simple or as complicated as you want it to be. 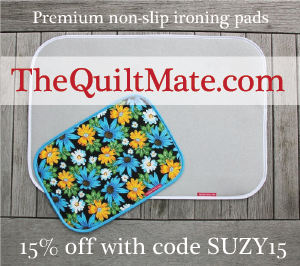 If you are new to quilting, you don’t need a lot. 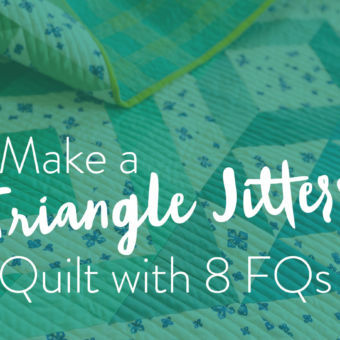 A few tools will get you through that first initial quilt. However, if you decide to come over to the dark side, like yours truly, and become a crazed quilt-osaurus, the amount of gadgets, notions, tools and whatchamathingies is pretty endless. How exciting!!! 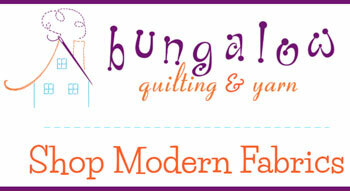 The fourth and final list will be a simple glossary of quilting terms. Also, if you have any terms or tools you like to use or would like to see added to the list, just let me know! 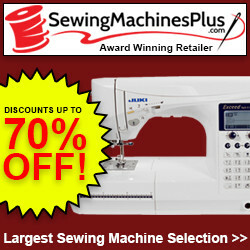 Sewing Machine - don’t spend a lot until you know you love sewing. 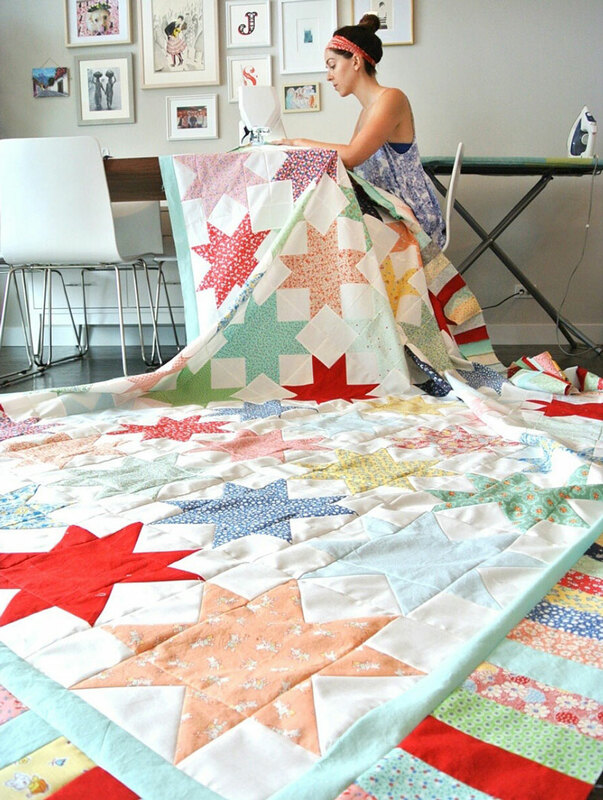 A very basic sewing machine will suffice if you only plan on making a few quilts a year for special occasions. Sewing Machine Needles - 80/12 needles are basic enough to be great for both piecing and quilting. Thread - A poly-cotton blend or 100% cotton both work fine. Try to avoid 100% polyester. It may produce less lint than cotton, but will not hold up as well. Ruler - if you only ever get one ruler, get a 6” x 24” clear Omnigrip. It’s the most versatile and I promise you will reach for it the most often. 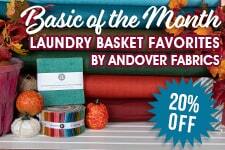 Batting - I recommend using either 100% cotton or an 80/20 cotton-poly blend. 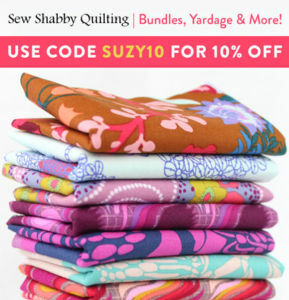 ​If you are brand new to quilting and looking for a place to start, check out my Quilting 101 video tutorials on YouTube! 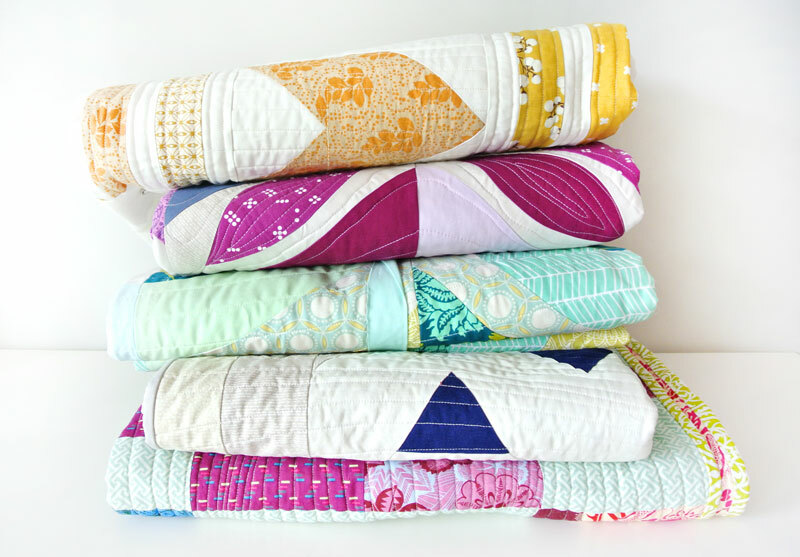 Below if a quick little vid on how to chain piece quilt blocks. 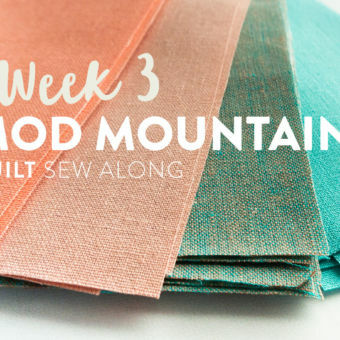 You have finished a few projects and officially have the quilting bug. Yippy! 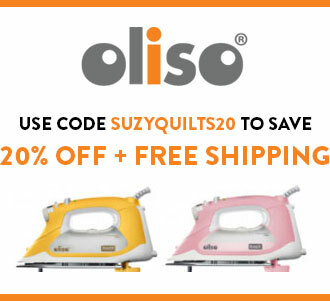 Now is the time to think about some upgrades that will make your life a bit easier and help some quilting techniques work more successfully. These items below are in addition or are replacing what is listed above. Magnetic Pin Holder - soooo helpful if you happen to be a bit clumsy. 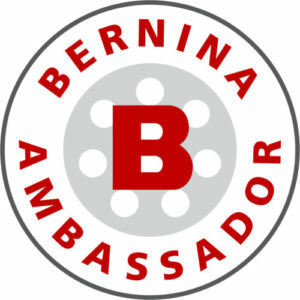 If you drop pins, just wave this magnet above them and woosh! They are sucked up and back at home. Netflix - if you don’t have a membership, you should seriously consider it. T﻿﻿emporary Marker/Pencil - I like this the best, but even a simple lead pencil works too. 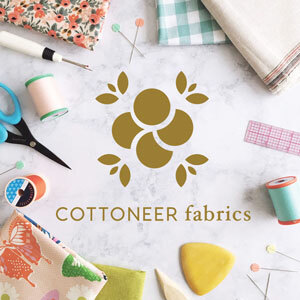 Thread Conditioner - this is used to condition cotton thread so it glides through fabric better. I only use this when hand-sewing binding. Fabric Starch - Best Press is aaaaamazing. AND it comes in different scents. mmmmmm….Check out t﻿﻿hi﻿﻿s blog post for more info on fabric starch. 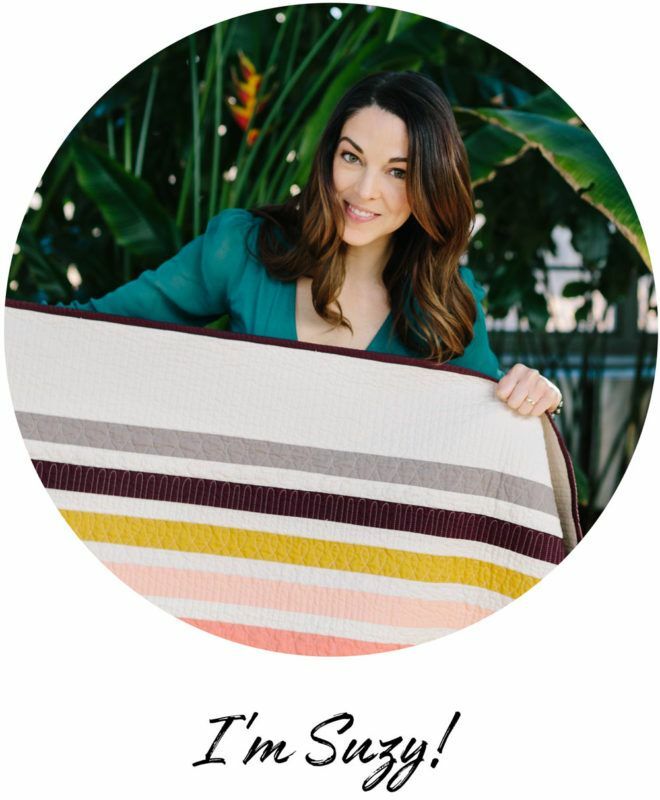 Shout Color Catchers - whether you are a pre-washer or not, it’s not a bad idea to throw one of these sheets in the washing machine when it’s time to wash your quilt for the first time. What was that? 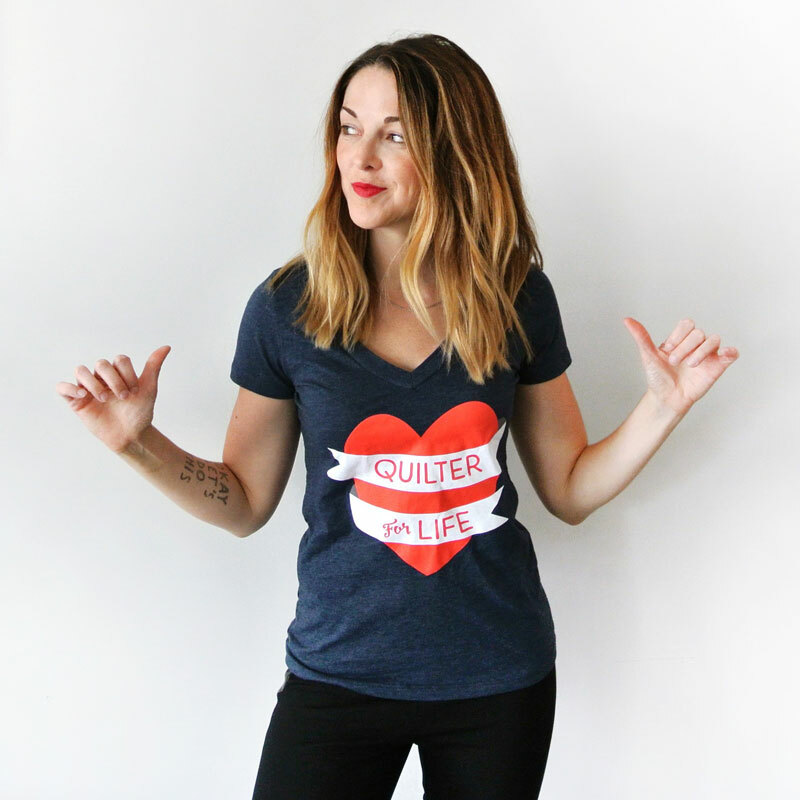 You want to buy the rad Quilter for Life shirt I'm wearing? 😉 I don't blame you. I designed it am selling it in my shop! Appliqué - A piecing process, done either by hand or by machine, using small pieces of fabric which are then sewn onto a background fabric in a decorative design. Batting - the thick layer in the middle of a quilt sandwich between the top and backing. Rotary blade sharpener?!!! Where has that been all my life? And I just finally disposed of all my dull blades. I’ll have to put it on the birthday list. How many times can you reuse a blade, give or take? I’m forever nicking my blades on my tile floor when I trim quilt sandwiches for binding. Every single time! No matter how careful I am. Anywho, I’m gonna get me one of those, dang it. Thanks for the suggestion! We are going to make the Warrior quilt. When cutting out the templates do you add 1/4 inch to the template to cut out your fabric. 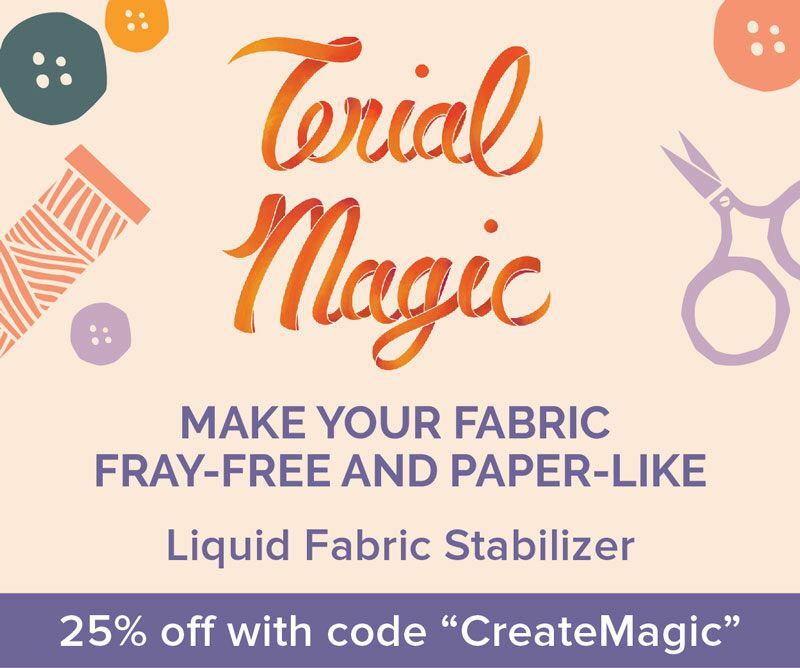 Or do you just cut the fabric the same size as the template. I guess I’m asking if the seam allowance is included in template. Thanks. We love the quilt. The finished blocks are 8″. Hi Suzy! 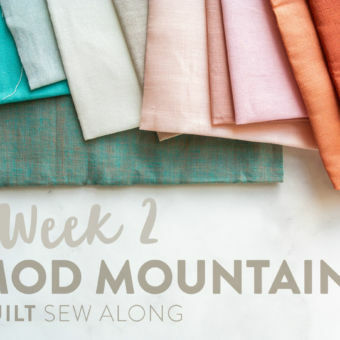 After studying and studying and stashing and planning I decided to make a first real quilty quilt retro plaid (then triangle jitters, bird watching, fly away and Indian summer… basically I love the way your mind works and so I want them all)! 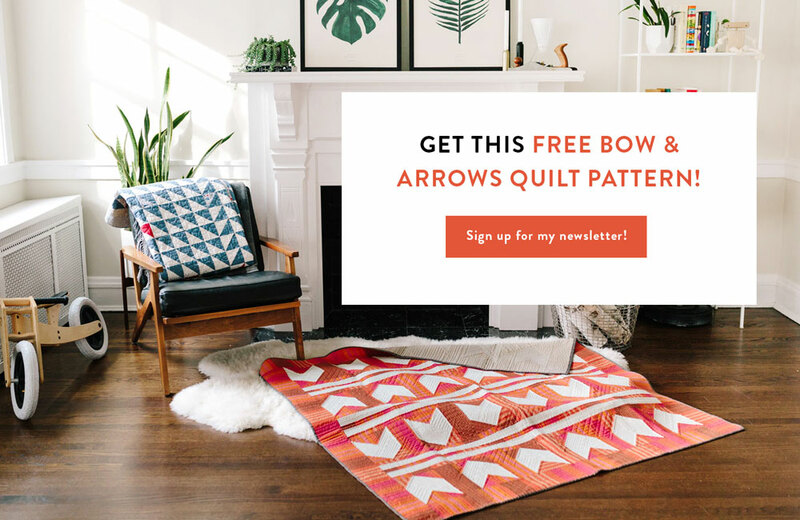 The actual question I have is… When it comes time for quilting if I don’t machine quilt what size hoop should I get? 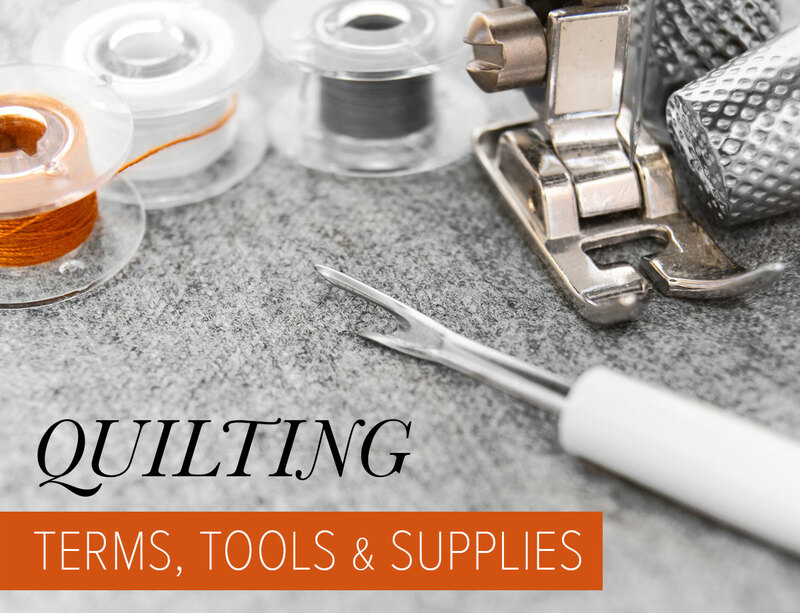 Are you thinking about hand quilting? I actually lay my quilt flat on a table and hand quilt that way. However, if you would prefer a hoop, I suggest a 14″ one. It’s nice and big so you don’t have to constantly adjust it while sewing. Good luck! Suzy, I’m from Brazil. I have seen many things on your page. I’m really delighted. Now, I’m learning quilt and improving my English. Do you know Portuguese?